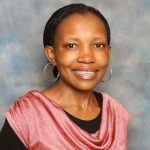 Mabore Lekalakala is a South African educator currently teaching Mathematics and Natural Sciences & Technology at Toronto Primary School in Limpopo, Province. She is a twenty-one years’ experienced teacher with an in-depth understanding of knowledge and skills needed for teaching and learning and one who continues to seek new ways to develop and and enable students with 21st century skills and attributes. Although she was not trained to teach with technology, through her own initiatives, self-directed learning, tenacity and willpower to make a difference, she progressed to be amongst the pool of 21st Century teachers, experts and champions who successfully integrates technology into curriculum in their teaching and learning. Mabore has been recognised with various awards. This year she was acknowledged by receiving the National teaching award, in the category of Excellence in teaching mathematics (GET) on the 27th of February 2016. The prizes accompanying their award included a vehicle, cash, return air ticket, weekend away, tablet and a cell phone sponsored by various companies. She attended the Global Educators Exchange in Washington, USA from April 2015 to May 2015 representing South Africa. She received the ISPA Champ Teacher for 2015 and Stars in Education Award and in March 2013. She is a trainer equipped with technology literacy competencies needed to provide rich and custom learning experience for learners. Mabore uses local, provincial and national educational competitions, ICT conferences, online and face to face professional development training sessions and social media to share best practices, learn from others and set herself new benchmarks. Most of the projects she run aims for strengthening the schools and communities in Limpopo and globally. In this workshop, participants will use Powerpoint to create learning activities including new add-ins and special features. In the presentation attendees will incorporate YouTube videos, Google Forms, Quizzes, Geogebra, and Khan Academy to make them interactive. The learning activities will be saved on Google Drive and each participant will be able to download for later use. The learning materials will be made available for global educators to access and edit in order to make them suitable for their contexts.